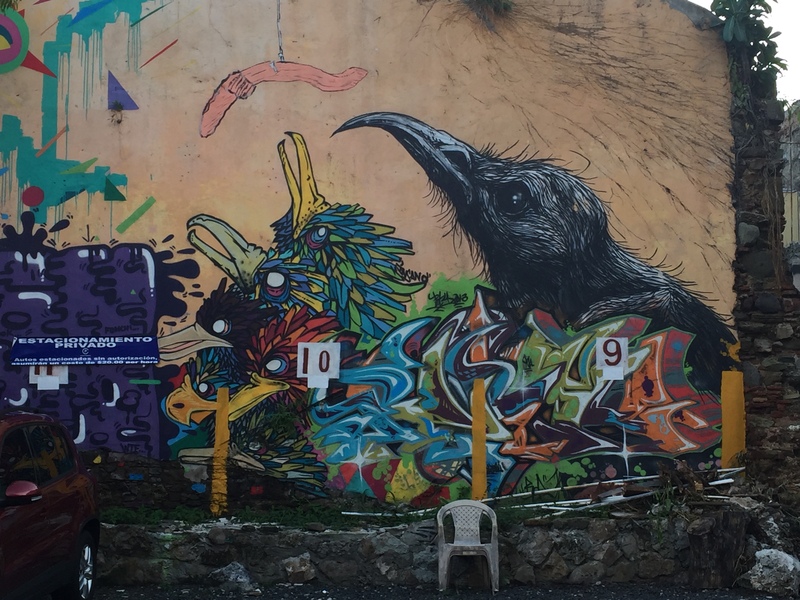 A bird scene with a fishing hook on a wall inside a Casco Viejo parking lot. The lot was full of graffiti and murals. Large: 15m wide x 12m tall.